1.4 Our website incorporates privacy controls which affect how we will process your personal data. You can email us at any time if you wish to no longer receive news, information and marketing materials from us at any time. 1.5 In this policy, "we", "us" and "our" refer to "South Coast Design". 2.1 This document was created by South Coast Design, Use of this document is grated by the company for use on Clients of South Coast Design. data is [our analytics tracking system]. This usage data may be processed [for the purposes of analyzing the use of the website and services]. The legal basis for this processing is [consent] OR [our legitimate interests, namely [monitoring and improving our website and services]. 3.3 We may process ("account data"). [The account data may include your name and email address]. The source of the account data is from our mailing lists and/or contact forms on our site. The account data may be processed [for the purposes of operating our website, providing our services, ensuring the security of our website and services, maintaining back-ups of our databases and communicating with you.] The legal basis for this processing is [consent] OR [our legitimate interests, namely [the proper administration of our website and business]] OR [the performance of a contract between you and us and/or taking steps, at your request, to enter into such a contract]. 3.4 We may process ("profile data"). The profile data may include [your name, address, telephone number, email address, profile pictures, gender, date of birth, relationship status, interests and hobbies, educational details and employment details]. The profile data may be processed for [the purposes of enabling and monitoring your use of our website and services]. The legal basis for this processing is [consent] OR [our legitimate interests, namely [the proper administration of our website and business] OR [the performance of a contract between you and us and/or taking steps, at you request, to enter into such a contract]. 3.5 We may process ("service data"). The service data may include products we have sold you. The source of the service data is from contacts forms on our website. The service data may be processed [for the purposes of operating our website, providing our services, ensuring the security of our website and services, maintaining back-ups of our databases and communicating with you]. The legal basis for this processing is [consent] OR [our legitimate interests, namely the proper administration of our website and business] OR [the performance of a contract between you and us and/or taking steps, at your request, to enter into such a contract]. 3.6 We may process [information that you post for publication on our website or through our services] ("publication data"). The publication data may be processed [for the purposes of enabling such publication and administering our website and services]. The legal basis for this processing is [consent] OR [our legitimate interests, namely [the proper administration of our website and business]] OR [the performance of a contract between you and us and/or taking steps, at your request, to enter into such a contract]. 3.7 We may process [information contained in any enquiry you submit to us regarding goods and/or services] ("enquiry data"). The enquiry data may be processed [for the purposes of offering, marketing and selling relevant goods and/or services to you]. The legal basis for this processing is consent provided by you. 3.8 We may process [information relating to our customer relationships, including customer contact information] ("customer relationship data"). The customer relationship data may include [your name, your employer, your job title or role, your contact details, and information contained in communications between us and you or your employer]. The source of the customer relationship data is from contact forms on our website. The customer relationship data may be processed [for the purposes of managing our relationships with customers, communicating with customers, keeping records of those communications and promoting our products and services to customers]. The legal basis for this processing is consent from yourself OR [our legitimate interests, namely [the proper management of our customer relationships]]. 3.9 We may process [information relating to transactions, including purchases of goods and services, that you enter into with us and/or through our website] ("transaction data"). [ The transaction data may include [your contact details, your card details and the transaction details].] The transaction data may be processed [for the purpose of supplying the purchased goods and services and keeping proper records of those transactions]. The legal basis for this processing is [the performance of a contract between you and us and/or taking steps, at your request, to enter into such a contract and our legitimate interests, namely [the proper administration of our website and business]]. 3.10 We may process [information that you provide to us for the purpose of subscribing to our email notifications and/or newsletters] ("notification data"). The notification data may be processed [for the purposes of sending you the relevant notifications and/or newsletters]. The legal basis for this processing is [consent] OR [the performance of a contract between you and us and/or taking steps, at your request, to enter into such a contract]. 3.11 We may process [information contained in or relating to any communication that you send to us] ("correspondence data"). The correspondence data may include [the communication content and metadata associated with the communication]. [ Our website will generate the metadata associated with communications made using the website contact forms.] The correspondence data may be processed [for the purposes of communicating with you and record-keeping]. The legal basis for this processing is [our legitimate interests, namely [the proper administration of our website and business and communications with users]]. 3.12 We may process [identify general category of data]. [This data may include [list specific items of data]. [ The source of this data is [identify source]. This data may be processed for [specify purposes]. The legal basis for this processing is consent from yourself OR [our legitimate interests, namely [specify legitimate interests]] OR [the performance of a contract between you and us and/or taking steps, at your request, to enter into such a contract] OR [[specify basis]]. 4.3 We may disclose [specify personal data category or categories] to [our suppliers or subcontractors] insofar as reasonably necessary for ordering goods on your behalf and/or the delivery of goods/services to your address. 4.4 Financial transactions relating to [our website and services] [are] OR [may be] handled by our payment services providers. 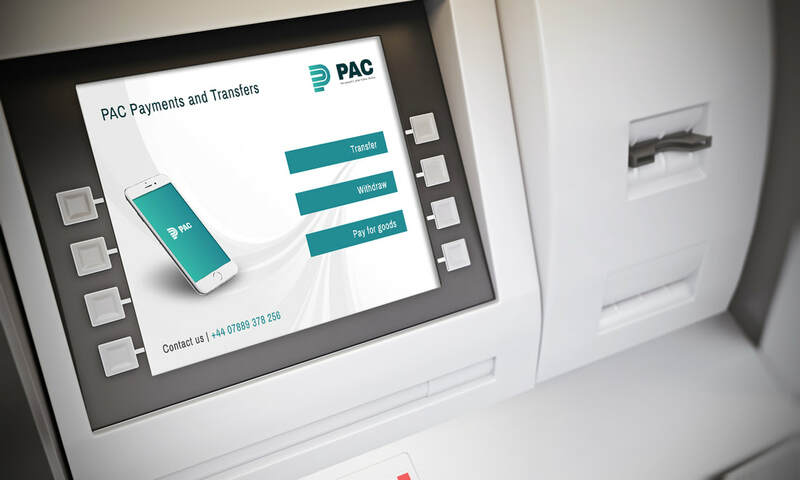 We will share transaction data with our payment services providers only to the extent necessary for the purposes of [processing your payments, refunding such payments and dealing with complaints and queries relating to such payments and refunds]. 5.2 We do not have office or premises in other countries, therefore we do not share your ("personal data") with bodies outside of the UK. (a) [your personal data] will be retained indefinitely unless requested to be removed by yourself or your company. (a) the period of retention of [personal data category] will be determined based on the time at which you data is submitted to us. 7.3 We will notify you of [changes] OR [significant changes] to this policy by email. 8.3 You have the right to confirmation as to whether or not we process your personal data and, where we do, access to the personal data, together with certain additional information. That additional information includes details of the purposes of the processing, the categories of personal data concerned and the recipients of the personal data. Providing the rights and freedoms of others are not affected, we will supply to you a copy of your personal data. The first copy will be provided free of charge. Inaccurate personal data about you rectified and, taking into account the purposes of the processing, to have any incomplete personal data about you completed. any official authority vested in us; or the purposes of the legitimate interests pursued by us or by a third party. If you make such an objection, we will cease to process the personal information unless we can demonstrate compelling legitimate grounds for the processing which override your interests, rights and freedoms, or the processing is for the establishment, exercise or defence of legal claims. 8.13 You may exercise any of your rights in relation to your personal data by email. 13.1 This website is owned and operated by South Coast Design. 13.2 We are operate as a sole trader. 13.3 Our principal place of business is at 198 Bournemouth Road, Lower Parkstone, Poole, Dorset, BH14 0EY. (d) [by email, using [the email address published on our website from time to time]. Weekly press release campaigns on varying engaging topics driven by the new tech, news and charitable happenings within $PAC. Outbound social marketing, aimed at enticing new investors to the $PAC story, we will reach out to new demographics on a rotational basis every week. GDA adverts (Google Display Adverts). Sponsored content across Youtube, including various cryptocurrency influencers, vloggers, radio podcasts and crypto related outlets. I will be expanding my marketing reach as these activities, hopefully, if they translate to an uptrend in the price as the monthly budget will increase as a direct result of driving interest to the coin. Therefore the proposal will never need to be altered as it is self improving. 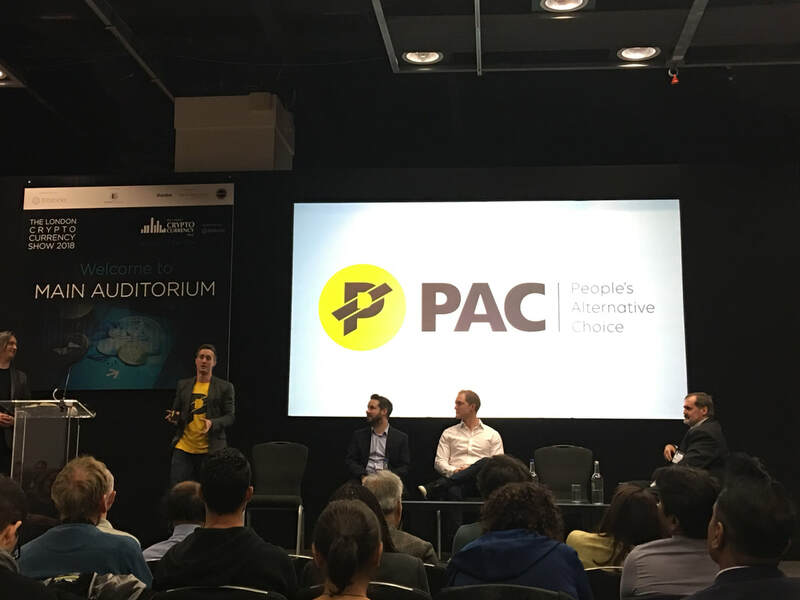 We're excited to showcase our concept for the alternative currency - pac. 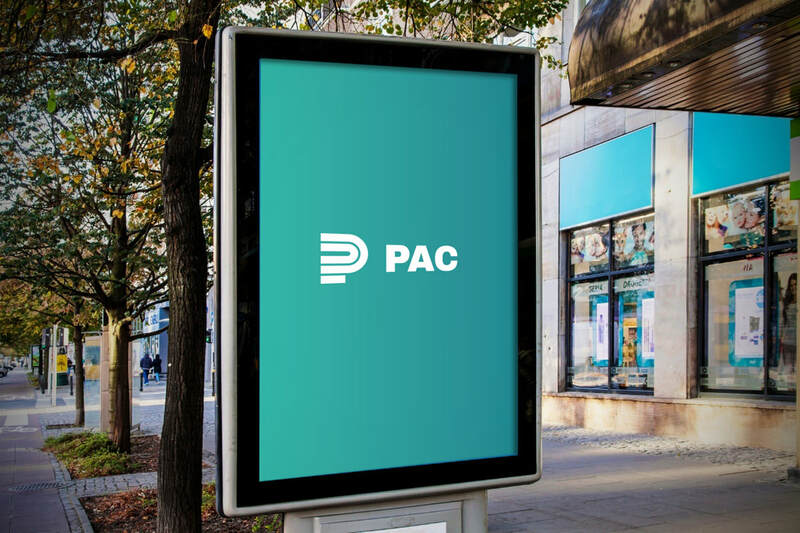 Our logo concept for PAC is modern, clear, professional and respectfully advances their existing brand by adopting a new, corporate colour palette. The logo is designed in such a way that the individual elements of the logo can be broken down and used as individual assets. range of applications can be applied. 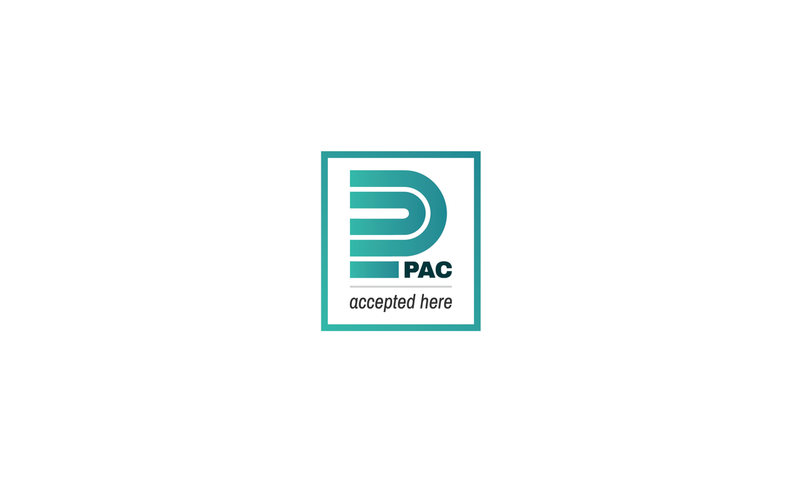 familiar to the existing branding but professional to solidify PAC as a trusted, respected and diverse top 50 coin. As you can see, when placed against any future marketing or adopted into modern currency platforms like ATM machines, the coin sits harmoniously against the white background, it adds a sense of perceived value to the coin and what you are using as currency. unprofessional payment icon could alter the potential customers buying impulses. Thank you for taking the time to read our logo design concept. I hope you feel that this is the way PAC should be portrayed. See our other designs from within the portfolio section. Here at South Coast Design, we're always reminded of how fortunate we are to be situated between two of the most iconic areas of the South of England, Bournemouth and Poole. Both areas are renowned for their history, landscape and above all being tourist hot spots for their golden, sandy beaches. Sandbanks, based in Poole, was voted the #4 in 'Best Beach in Europe' in 2016 and as such has received funding to keep it this way and implement more crowd friendly features to the area. But what does this have to do with Web Design? All good web design bottles down to proper planning, end-user research and a keen creative and modern flair from the designer, creativity is often inspired by the places we grew up, the places we live in and the atmosphere of our local culture. Having had the opportunity to speak to hundreds of local companies within the Bournemouth and Poole area, when it came to the style of their websites they more often than not mentioned that the imagery they chose, the layout of the pages and the features they included were all nodding towards representing themselves as professionals of the Bournemouth and Poole area. Which makes sense, if your business relies on the footfall of local trade and being seen as the GO-TO company for Bournemouth or Poole, you'll want to highlight the importance of your commitment to your local patrons. When designing a website for a local business we often recommend adding hero images of local landmarks with their products super imposed into the foreground, or having a section of their website focus on testimonials from other satisfied local customers. You'd be surprised how much of an impact this can have on your end-users buying decision. So, think about it, the next time you're building a marketing campaign, or new visuals for your website, think about your local audience and if you're starting from scratch, build a website that incorporates these features and watch the positive feedback roll in. SOUTH COAST DESIGN HOPS ON THE POKéMON GO BANDWAGON WITH A USEFUL COMPLETE GUIDE TO POKéSTOP LURE MODULE SPAWNS. Pokéstops aren't just the best places to get free goodies. As you are probably already aware you can activate a lure module on a pokéstop to attract a whole host of different pokémon to your location without you having to walk around to catch them, which has quickly become a huge part of the meta of the game, with prime locations in various cities being used as pokéstop farms by activating 3+ lure modules at the same time to give an unlimited source of pokémon to catch. But are all Pokéstops created equal? The answer is... NO. They aren't. From the research we have done so far we have been able to ascertain that there are two tiers of Pokéstop which, in turn allow various rates of rarity Pokémon to spawn when a lure module is active. Long story short: BETTER POKEMON WILL SPAWN AT CERTAIN POKESTOPS WHEN A LURE MODULE IS ACTIVE THAN OTHERS. Because we are based on the South Coast of the UK we thought we'd use one of our local hot Pokéstop spots as an example. This is without a doubt the most popular spot in Poole for playing Pokémon Go. Poole Quay directly outside Custom House Bar & Restaurant, there are 6 Pokéstops within 2 minutes of each other and almost always full lure modules being placed at peak social times throughout the day. Almost everybody will sit along the Quay front steps at the three central Pokéstops and catch Pokémon to their hearts content, however some of the more casual players aren't aware that either side of them there exists two TIER TWO Pokéstops which have a higher % chance of spawning a rarer Pokémon. Almost 80% of all rare spawns on the Quay as a direct result of a lure module (not including random spawns) occur at these two Pokéstops, which often means the people sat farming Pokémon in the central three lures often miss out on a good catch unless other players inform them of a rare spawn. The best possible way to play Pokémon Go down Poole Quay is to farm the middle 3 Pokéstops and every 2 minutes walk down to each tier 2 pokéstop (if a lure module is active) to have a higher chance of not missing any of the tier 2 level spawns. We hope you found this new information useful and as a result you find some rare Pokémon.